It is always the right time to read a book that is well written, has exquisite illustrations and an important message (that does not brow beat the reader). But February seems an especially perfect time to read it. And then makes some hearts. summary: Up in the mountains lives a quilt maker who will not sell her beautiful quilts, but will only give them away to those who are poor and homeless. Down in the valley lives a greedy king who desperately wants the "one thing" that might make him happy. that a quilt might be that one thing - but the quilt maker will not give him one, since the king is neither poor or homeless. She will, if the king gives away all his possessions. Reluctantly, the king decides "if I must, I must", and goes on a journey to give away all that he owns. Upon his return, he owns nothing, but is the richest man he knows. first lines: There was once a quilt maker who kept a house in the blue misty mountains up high. Even the old great-great-grandfather could not remember a time when she was not up there, sewing away day after day. why I love this book: First I love the message of this book: stuff does not make us happy. More stuff does not make us happier. But it is the illustrations that make it brilliant. In my classroom, we know that there are three ways to "read" a book: read the words, read the pictures and retell the story. 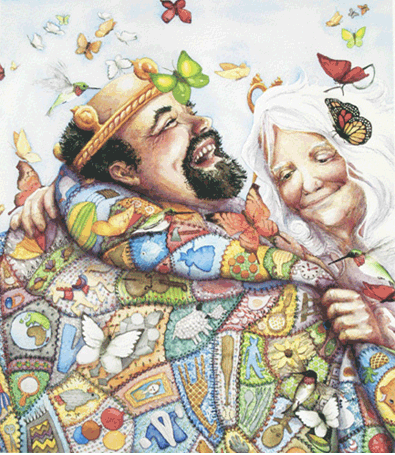 While divided on their opinion of the story, reviews praise The Quiltmaker's Gift's illustrations. We enjoyed looking at the pictures of the king's face. It was a great opportunity to use feelings words. We saw that he was miserable when he wanted more things, angry when the quilt maker would not give him a quilt, worried when he thought the quilt maker might be harmed, thoughtful when deciding to give away his treasures, sad when he saw how poor some people were, and very very happy when he came back to the quilt maker. They are illustrations to pore over, and find something delightful and new with each re-visiting. 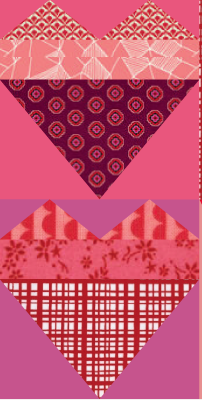 It seems logical to make a quilt after reading a book about a quilt maker. Since it is February, we made heart quilts. We made our heart quilt squares with 1 rectangle and 4 squares. And one background square. 1. Make a diagonal cut on the medium square to make 2 triangles. Glue them, corners touching, at the top of the background square. 2. Fold the rectangle in half, and cut to make 2 squares. Glue directly under the triangles, touching the side of the background paper. 3. Glue the large square in the middle. 4. Make a diagonal cut on each of the 2 small squares. Glue them on the sides and bottom of the heart. 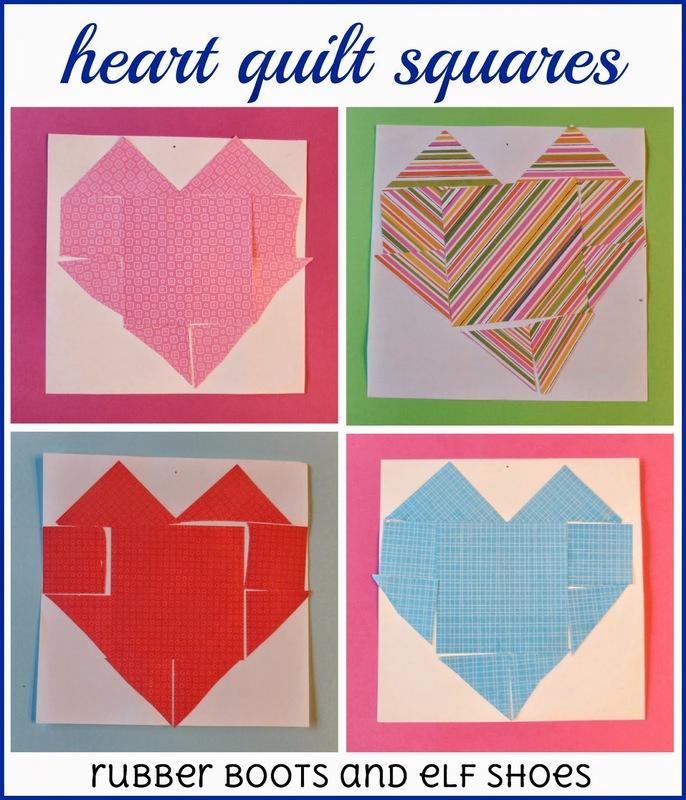 There are lots of other ways to make paper heart quilt squares. 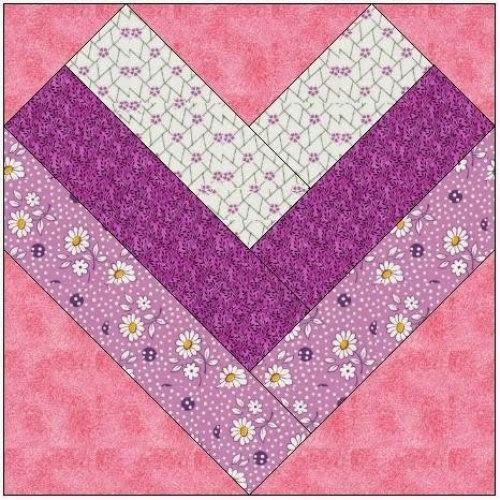 Lots of squares from Quilternity. Simple and effective rectangles from Preserving Home Basics. 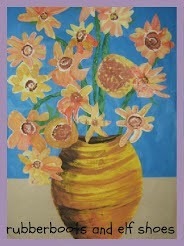 More simple and effective from Artfire. This is a stained glass pattern from Warner Stained Glass. 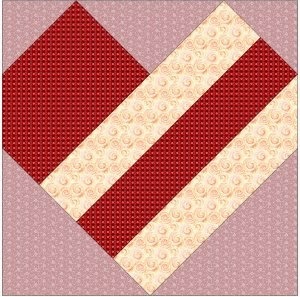 I'm quite captivated by this heart from Craftsy. Which heart is your favourite? Thanks for stopping by and taking the time to leave a comment. It IS a delightful book. I really liked this book as well. Such an important message and I totally agree about not brow-beating. 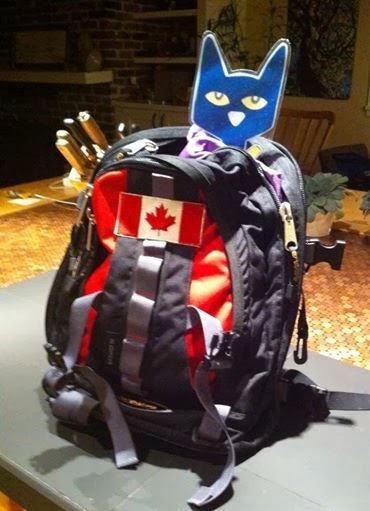 Great idea on the activity too! Probably influenced by my purple-obsessed daughter, but I really like the purple patterned heart from Artfire. Thanks for sharing! I really like the Artfire quilt too. It is simple and effective. Great review--this is a book my grandchildren would enjoy. 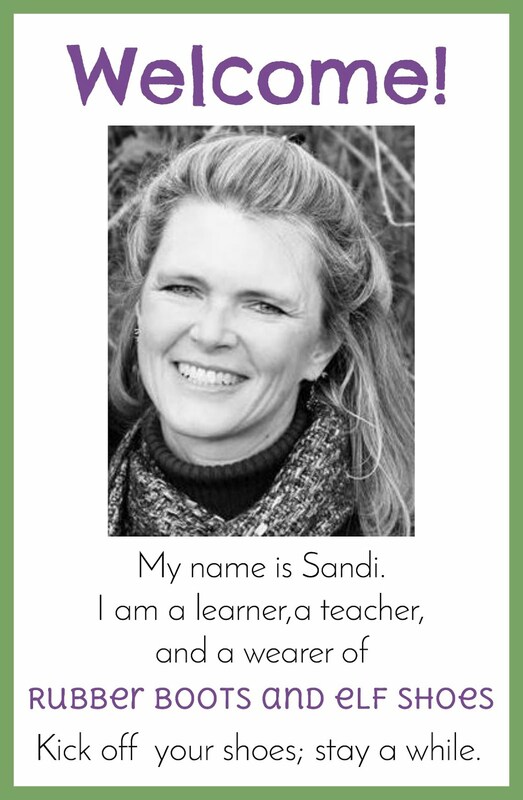 Your classroom is fortunate to have you as a teacher. The description of your quilt squares is lovely! 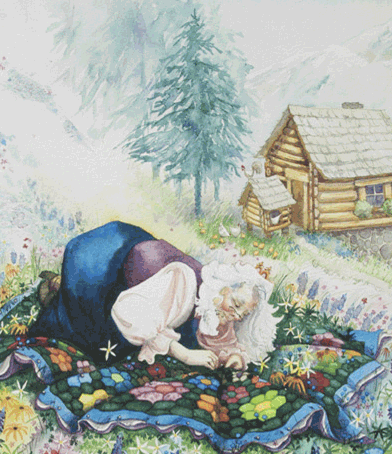 The Quiltmaker's Gift is a perfect book to snuggle up and read with a grandchild or two. This was a great review! I've seen this book on shelves, but have never seen inside it! It looks quite lovely and you have stirred my interest. I'm going to have to get off of that shelf next time i see it!! Thanks!! Es ist immer der richtige Zeitpunkt, um ein Buch, das gut geschrieben ist, zu lesen, hat vorzügliche Abbildungen und eine wichtige Botschaft (das heißt nicht, Stirn schlagen dem Leser). I keep meaning to get a hold of this book. I'm going to pin so I don't forget.